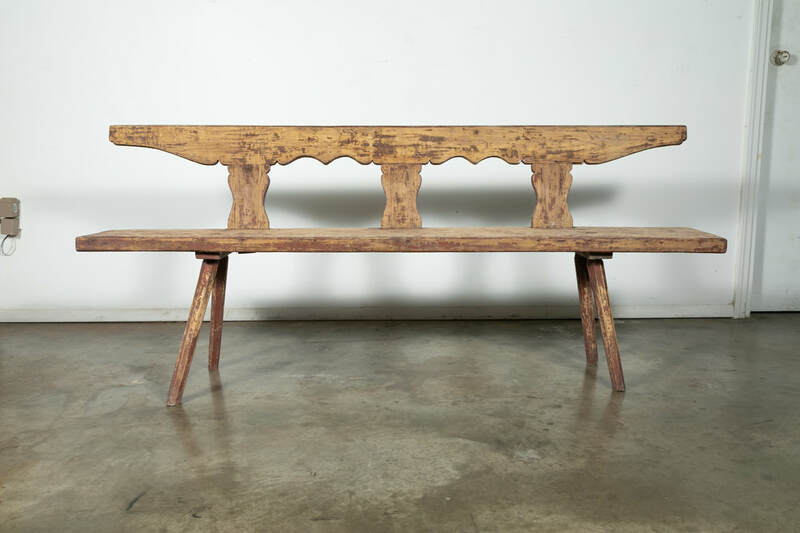 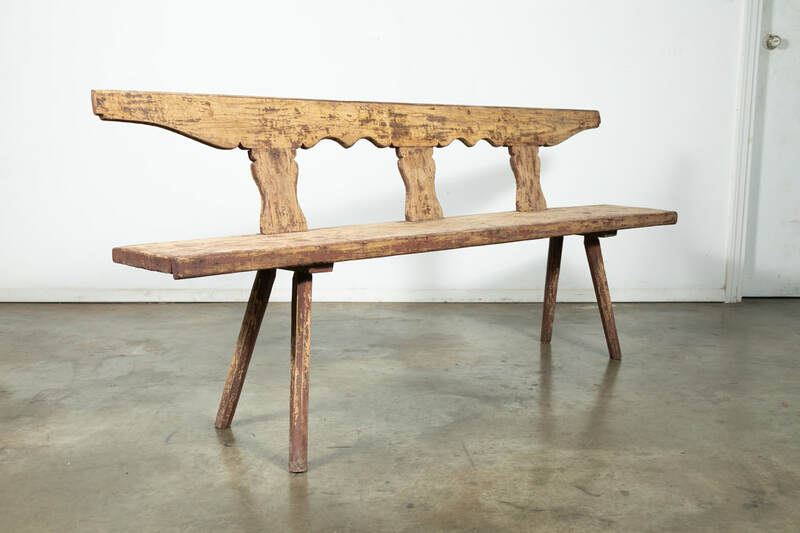 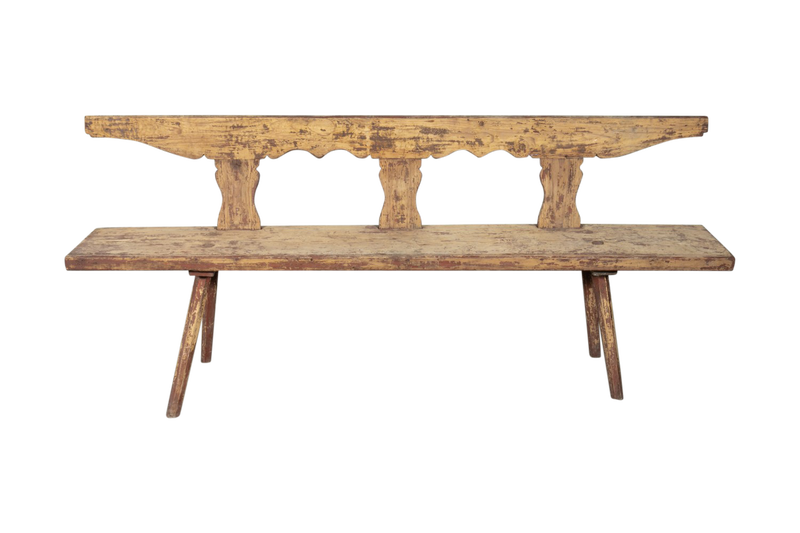 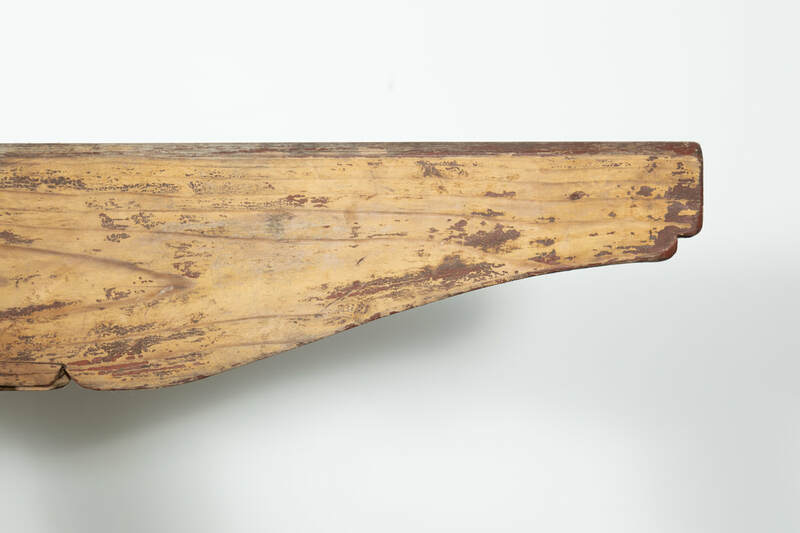 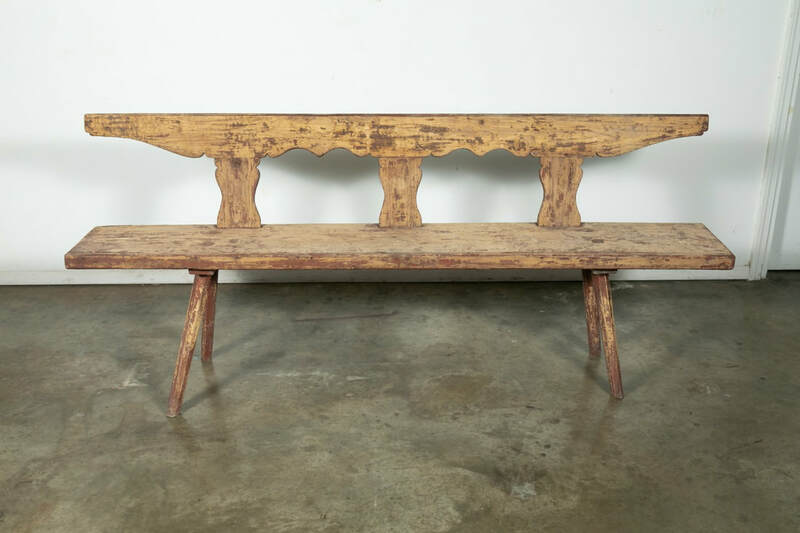 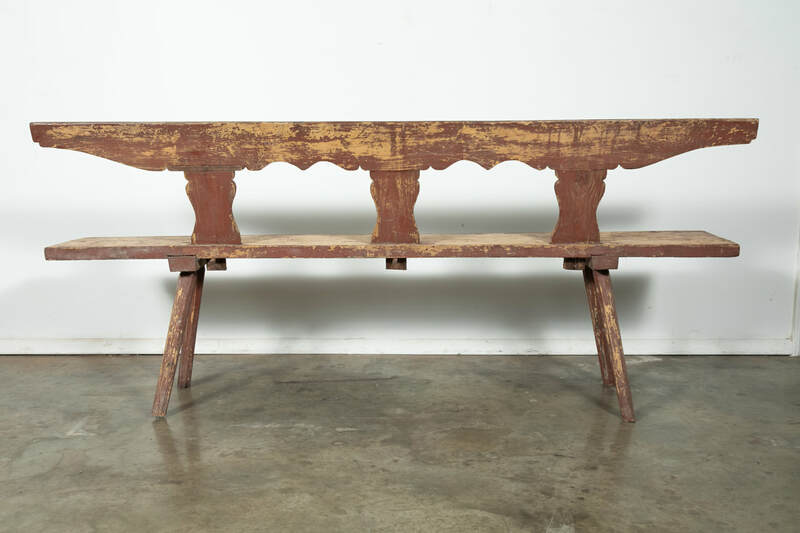 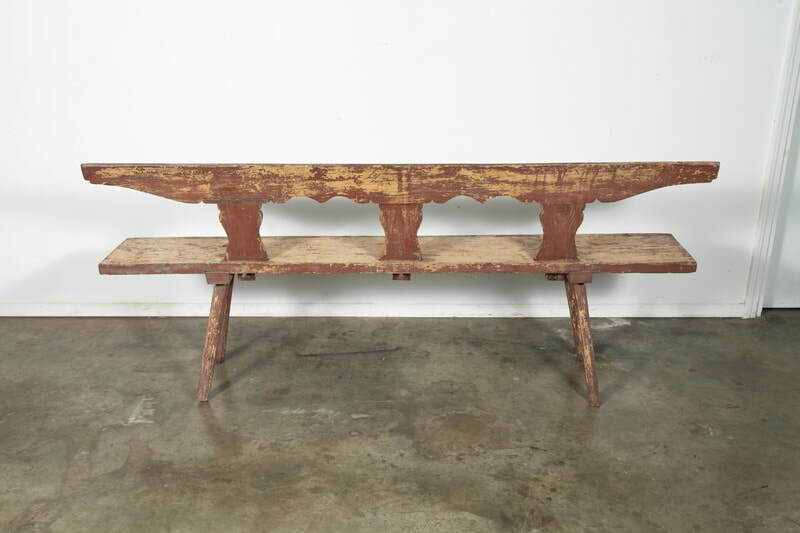 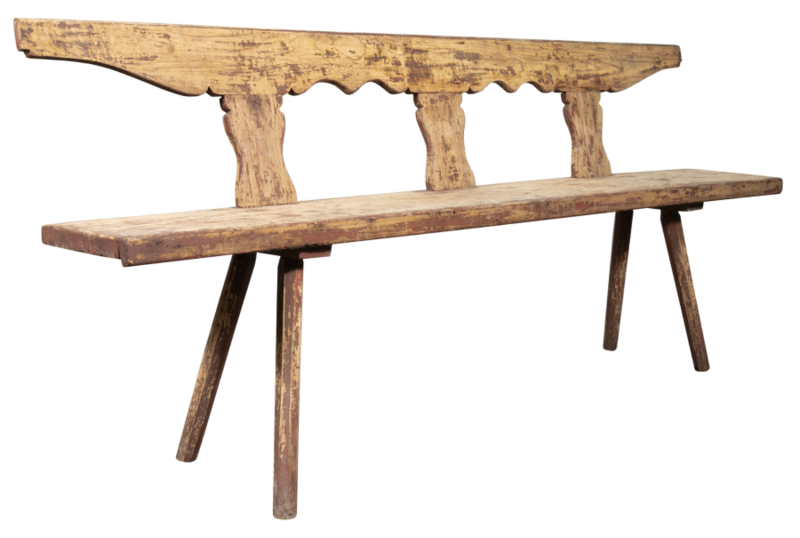 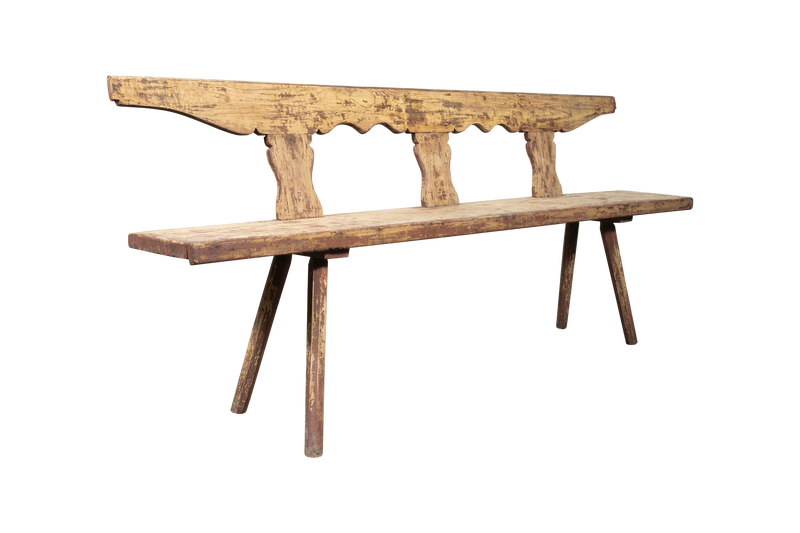 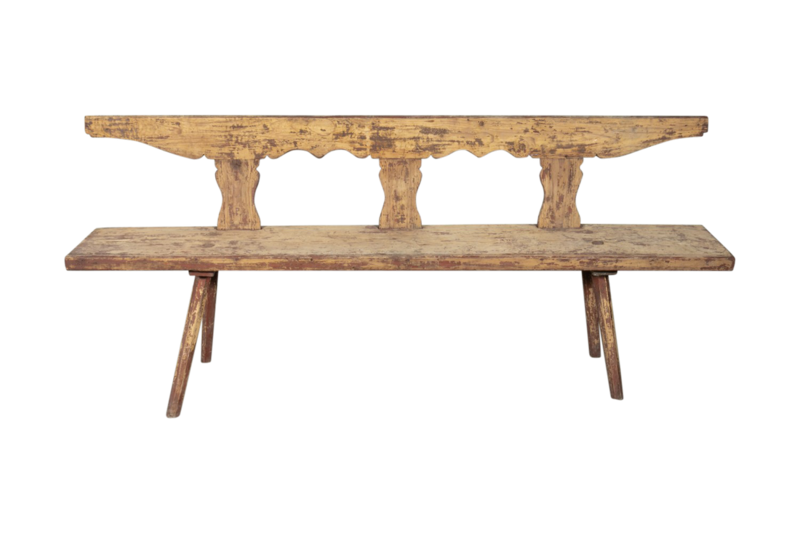 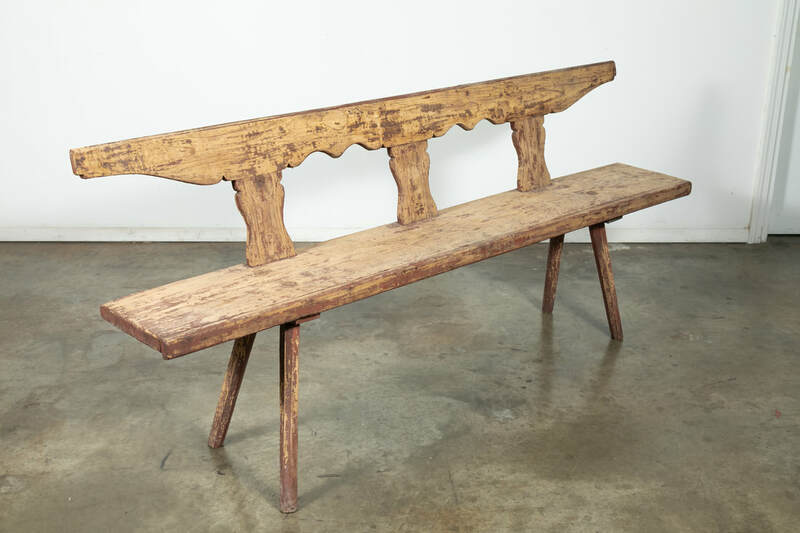 A charming 19th century painted primitive French Provencal bench with carved backrest handcrafted in pine. 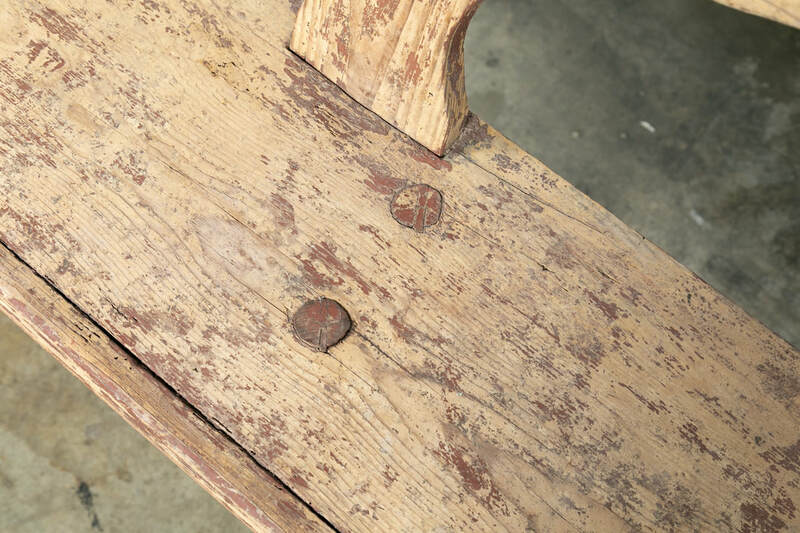 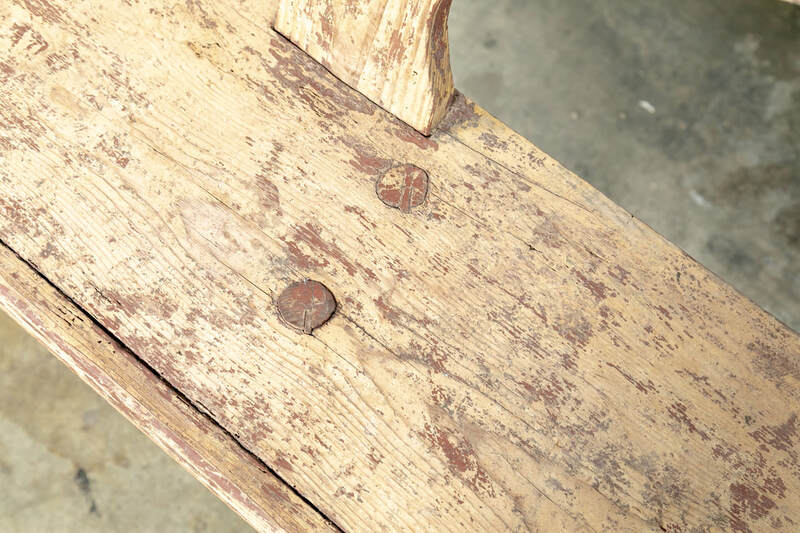 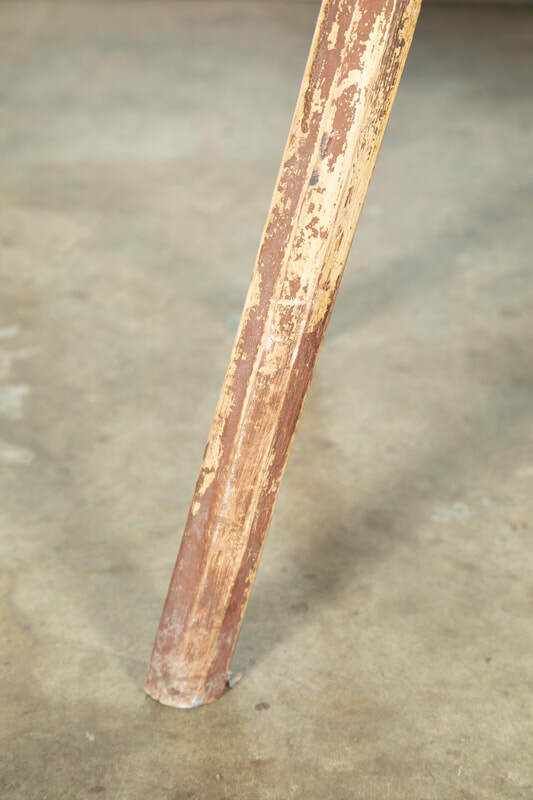 ​Rustic form with simple, solid construction and lively texture, having a lovely patina. This charming bench will add a touch of French Country charm to any space.